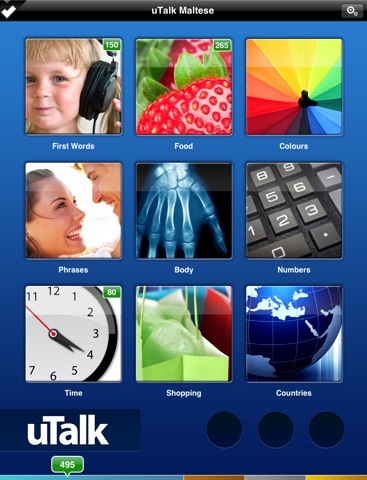 uTalk Classic Learn Maltese app: insight & download. NO TIME to get fluent? Need the basics now? Developed by a company with 20 years of experience in language learning and over ten million customers, uTalk gives you the key words you need and a fast, scientific way of remembering them. Unlike a phrasebook or translator, this beginners app hardwires basic spoken Maltese into your brain so that it feels like your first language. Learning fewer words which trip off the tongue like your own language is far better than learning heaps that aren't there when you want them, so uTalk focusses on the basics – 275 of the words and phrases you're most likely to need including how to order a drink, find a chemist and ask for an aspirin! Plus food, phrases, colours, numbers, shopping and more. • Images – to stimulate both halves of our brains, visual as well as logical. • Fun quizzes – because we remember best what we’re interested in. • Speech, recording and playback – to perfect your accent by comparing with native speakers. • A point scoring system – that gives feedback on progress and rewards success. WHY waste time? 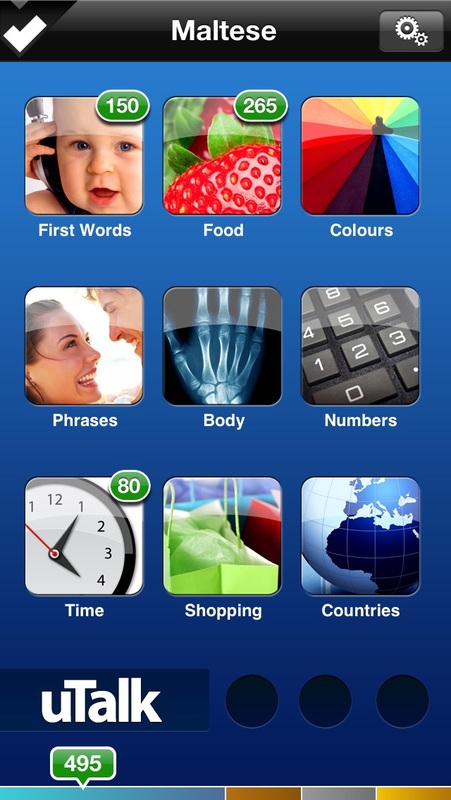 Download now and see how much vocabulary you can learn in a spare 10 minutes with this best-selling method from EuroTalk! Don’t worry! You can learn Maltese from any of over 100 languages – all in this single app. For the full list of the languages you can learn from, see our website.